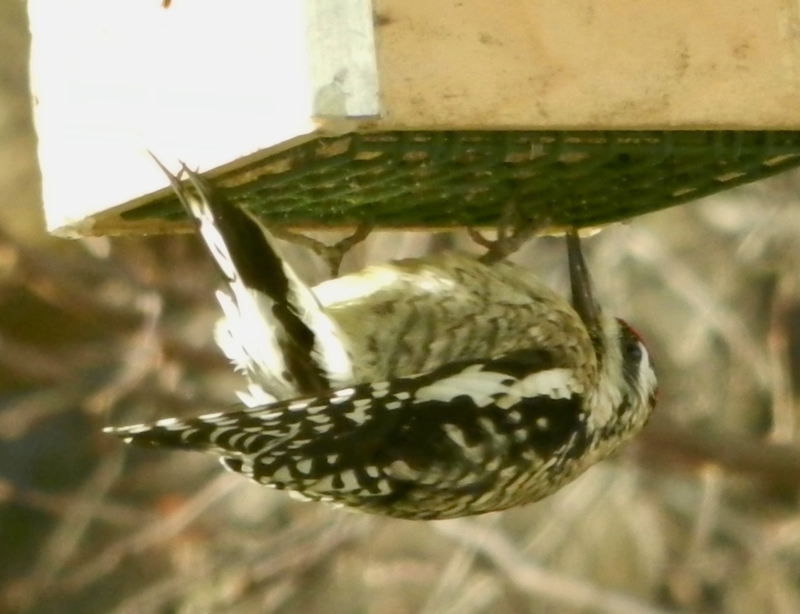 Last January, it was a Yellow-Bellied Sapsucker. Hopefully, I’ll get sharper pictures next time around! 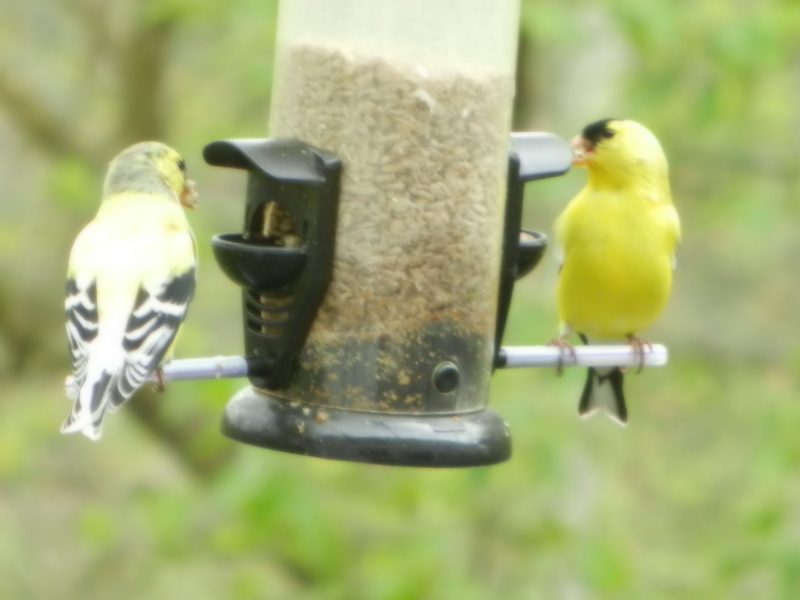 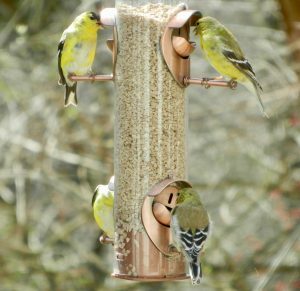 It might be chilly outside today, but the Goldfinches are dressed for Spring and Summer. 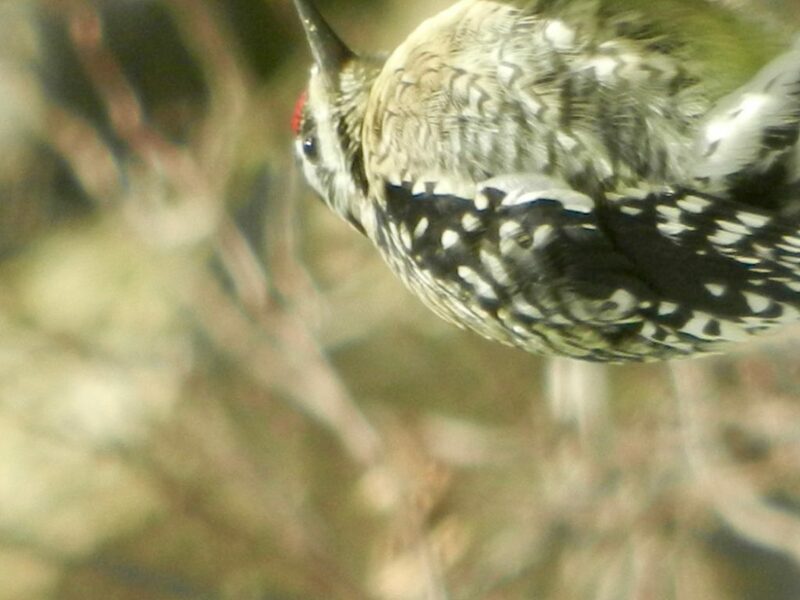 Last January we had our first sighting of a Yellow-bellied Sapsucker. 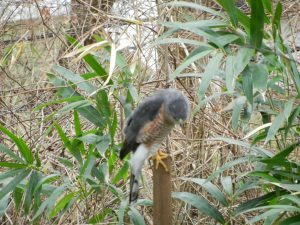 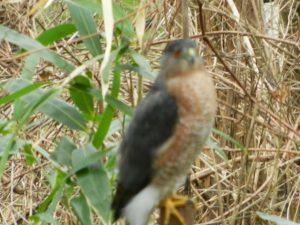 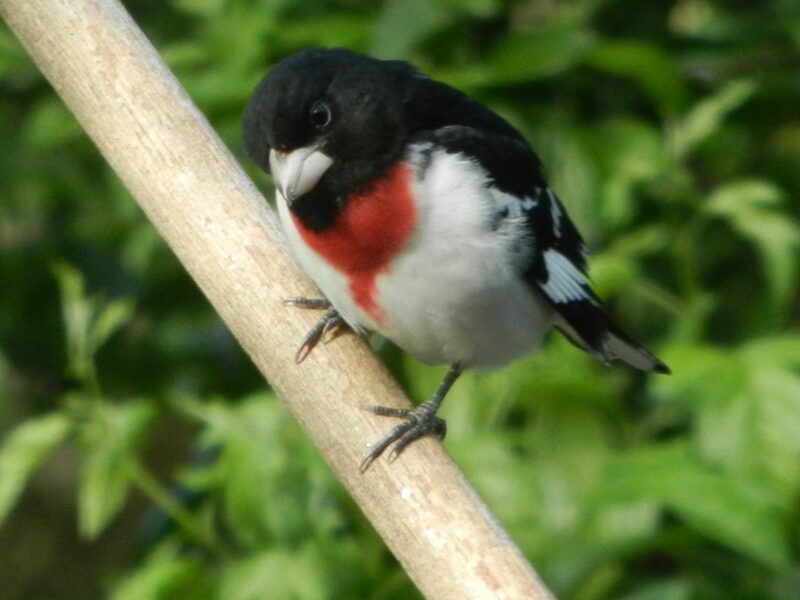 This amazing bird has returned for another late December and January visit. 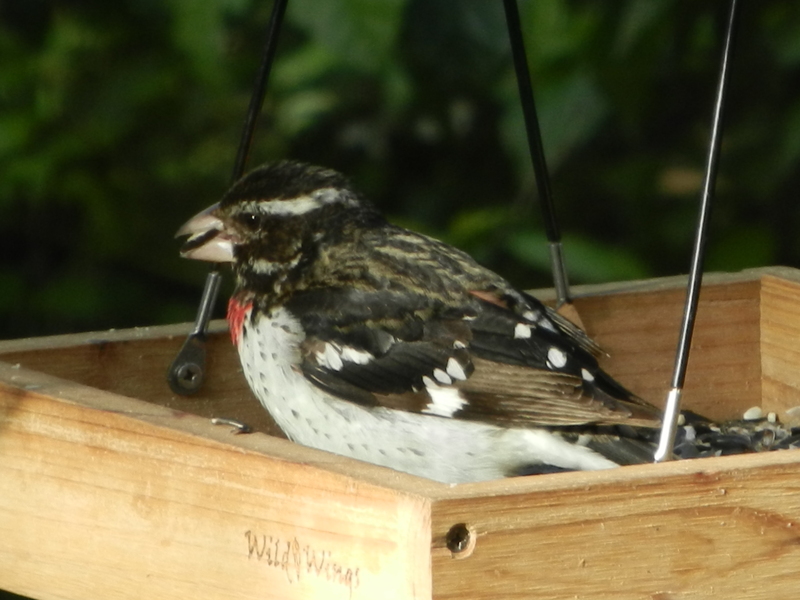 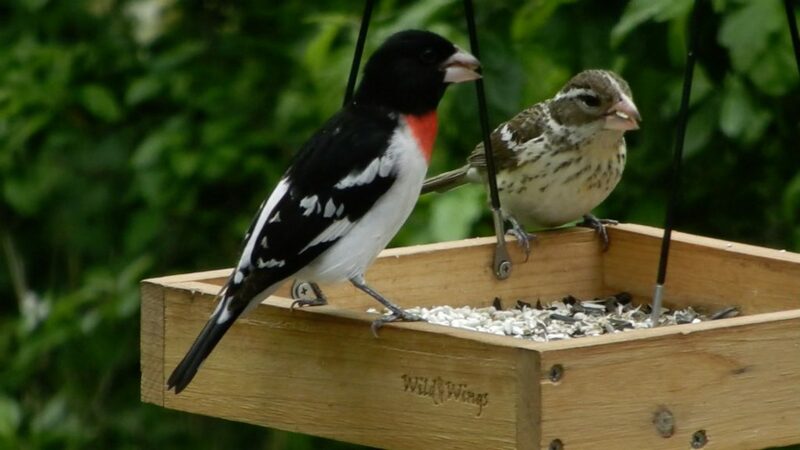 He seems to enjoy our upside-down suet feeder. 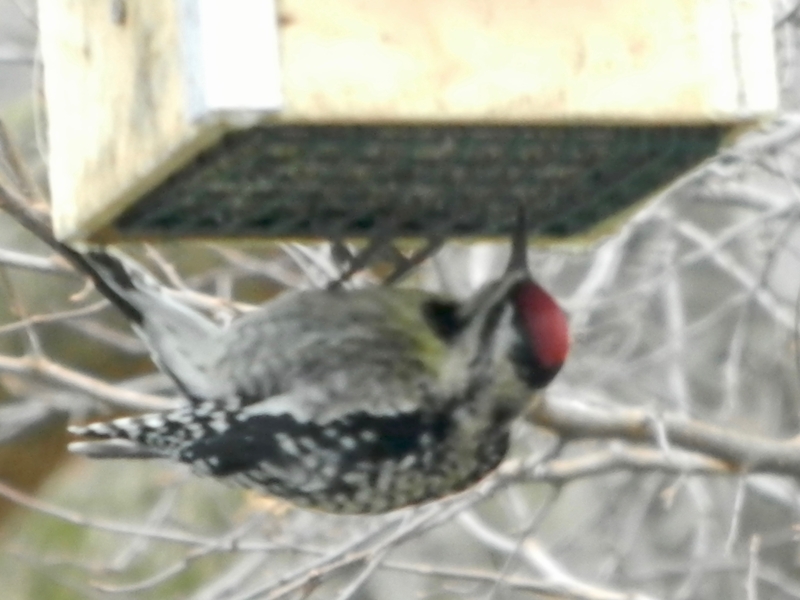 The video has him pecking away at the suet while the outside temperature today is about 10 F.